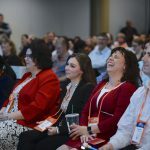 LONG BEACH, CA (January 15, 2014)—Laserfiche today kicked off its sold-out Empower 2014 Conference with a keynote speech from company CTO Karl Chan outlining new and upcoming software releases. The new lineup includes social BPM, expanded mobile offerings and new web products. Too often, work waits when people can’t get the information they need. Laserfiche’s new social BPM functionality will provide a place for people to collaborate around document-driven business processes, answering questions, sharing ideas and capturing tacit knowledge that is often lost when projects end or employees leave an organization. Laserfiche has extended its popular mobile app to Android devices. This increases organizations’ ability to offer secure, anywhere access to corporate content from a variety of devices, and allows business processes to proceed when key decision makers are on the road. Laserfiche Web Accelerator helps geographically dispersed organizations share and access images in their Laserfiche repositories without sacrificing speed. This is accomplished by offloading image caching to improve the performance of all Laserfiche web products, including Laserfiche Web Access 10, the next generation of Laserfiche’s thin-client interface. With a new UI and new ways to interact with documents, Laserfiche Web Access 10 will make it easier for users to find the information they need to do their jobs. 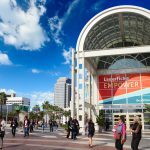 The Empower 2014 Conference, held at the Anaheim Marriott through January 17, features 250 educational sessions on everything from enterprise content mobility to cloud deployment strategies. Leaders from Avis Fleet Services, Babson College, Gartner and Info-Tech Research Group, among others, will share their expertise during the conference. For real-time updates, follow #empower14 on Twitter. Epson is the premier sponsor for the event and Fujitsu is the platinum sponsor. There are also a number of Laserfiche alliance partners exhibiting their hardware and software integrations at the conference, including: Access, Accuflex, Cambridge Connections, Canon, Cities Digital, CMA, ARX, DocuNav, DocuSign, EzeScan, Infolinx, Kodak, NovusAGENDA, Objectif Lune, Panasonic, Parascript, RatchetSoft, Scanning America and United Micro Data.